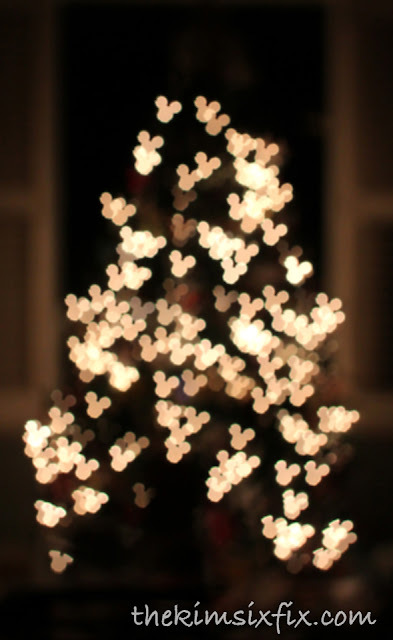 We went to Disneyland for the week between Christmas and New Years and I had all these grand plans to shoot their Christmas lights using Mickey Mouse shaped bokeh. Needless to say, in the three days that we were there that didn't happen because we either left the park before dark, I forgot the camera and/or filter or I just complete forgot my game plan. But that doesn't mean you can't try it next time you head to Disney! 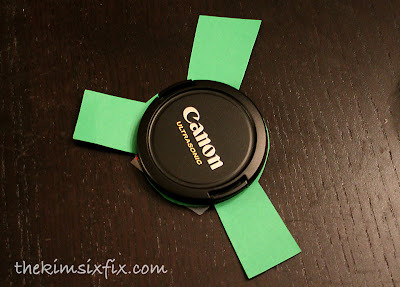 First you trace a circle the size of your lens cap onto a piece of card stock, and create 3-4 tabs around the outside. 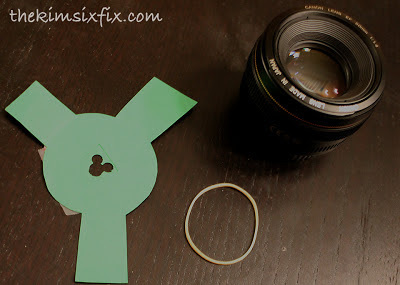 I attached the filter with a rubber band to my 50 mm f1.4 lens. For this to work you want to have a pretty large aperture. (The smaller the aperture the smaller the hole has to be in your filter or else you will cut off the edges of your custom shape.) I used f1.4 for all my images, but I know f1.8 is also commonly used. 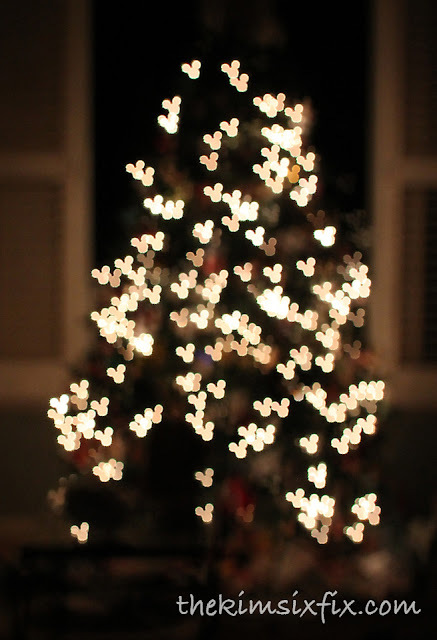 The other thing is that you need to make the image slightly blurry or out of focus. (At least the part you want to have custom bokeh) Here is an example of my neighbors pergola lights, first with autofocus, then with soft focus, both with and without the filter on the lens. 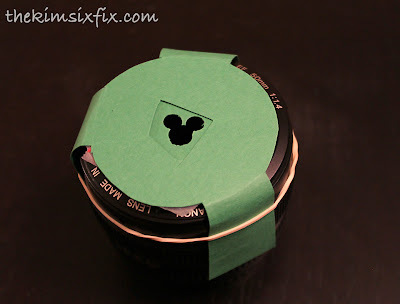 Another advantage of the tab/rubber band attachment method is that you can rotate the filter so that Mickey is always oriented in the right direction. 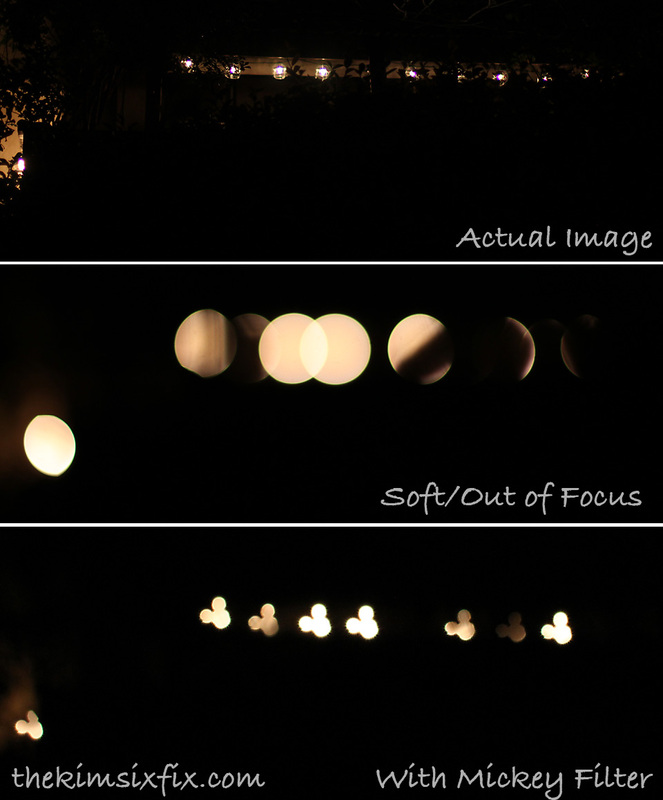 When your lens rotates to focus, the filter will also rotate, so you need to adjust it if you want the bokeh to be recognizable as Mickey. So next time you head to a Disney park, and want some novel pictures, give it a shot! This is so neat! 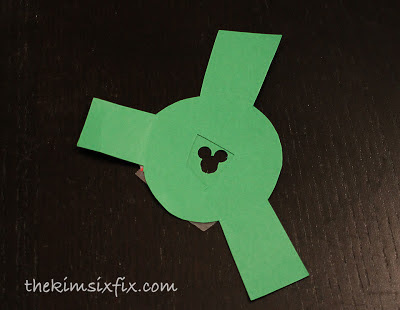 I definitely need to try this next time we go to Disney around Christmas! I love this!! I want to buy a nice camera and make some fun bokehs. This is a nice post, I love it. thanks for sharing.